In 2012, the Women Leaders Institute was created to inspire action and drive change for aspiring and established women leaders through business empowerment, leadership and career advancement. Join the community and find out more at womenleadersinstitute.org. 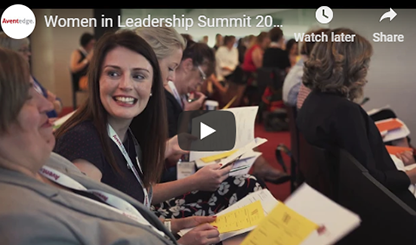 The Women in Leadership Summit Series is a global conference series designed to bring together the most influential and brightest minds to create opportunities for women in leadership. Be empowered and inspired by incredible public and private sector leaders as they address women’s role as innovators and disruptors, accountability in gender diversity, facilitating flexibility while maintaining productivity and profit, and creating equality of opportunity in modern businesses. Join Jane Caro as she discusses the trials and tribulations of being a modern woman and a modern leader in today’s Australia. Hear Tracey Spicer’s perspective on the changing nature of feminism and how female leadership has developed in the 21st Century – especially since #metoo. Discuss and debate with industry and thought leaders on key leadership challenges with Male Champions of Change, Department of Veterans Affairs, L&A Social Media, and VMLY&R in our high impact interactive roundtable discussions. 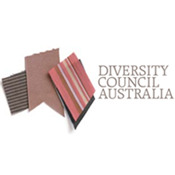 Benefit from real life case studies and hear how Ashurst, CSIRO and BlackRock have created efficient, supportive, profitable and diverse workplaces. Follow us on our socials to stay updated! Click to watch our sneak peek video! Gain practical and actionable strategies from Knight Frank, ahm, and WGEA to create profitable and diverse workplaces. Discover how to engage and empower employees in the process of achieving gender diversity and equality with Investa Property Group, EY, and CharterHall. Learn how Anna O’Sullivan, APAC Regional Head, Transaction Management at BNY Mellon maintained a successful professional work-life balance. Join the discussion on creating male allies and advocates at the workplace with Male Champions of Change and Ashurst. Discover how to align business policies with the bottom-line from Tara Jackson, Head of People & Culture ANZ, VMLY&R. Leverage key strategies from Deloitte and CBRE to optimise your leadership pipelines to attract and retain high-potential female talent. Hear how a young, gay, female entrepreneur disrupted an entire industry from Nicole Kersh, Founder, 4Cabling (acquired), and Co-Founder & Head of Strategy, The Content Folk. "We are all busy, but you must take the time out for yourself and attend this conference. You will walk away feeling inspired and ready to take the next step in your professional journey." "A great forum to re-affirm your thoughts and pathways. A well-needed confidence booster to reset, go back out, be bold and get noticed." "Authentic, generous and honest conversation about how to increase female participation and advancement into senior roles." "Great content, with phenomenal speakers! You will learn, enjoy and grow no matter what level of your leadership journey you are at!" "Great conference for women and men - need to bring along male managers." "A great forum to challenge your thinking and approach to not just gender equality and diversity but also your own leadership." "This conference has reinvigorated my interest in advancing my career." Brimming with style and character, Hilton Sydney is located in the heart of the city's shopping, entertainment, and business districts. For a 10% discount on accommodation at Hilton Sydney, please click here. Alternatively, please call 02 9265 6046, and quote the group code ‘GDYAV’ when booking. Hotel parking is available at Secure Parking located beneath Hilton Sydney (entry via 255 Pitt Street) for a function rate of $58.50 per 24 hour period. A valet service is also available at a rate of $83.00 per 24 hour period.